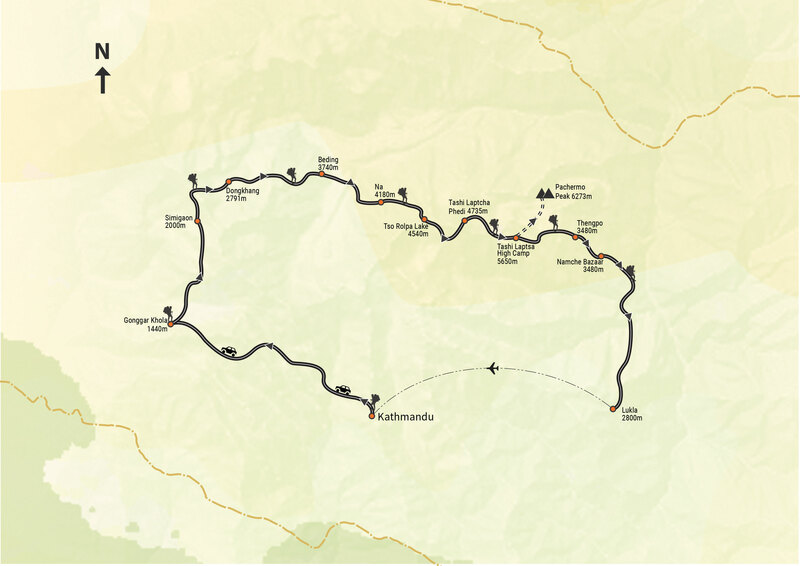 Rolwaling is an inner Himalayan valley and The native birthplace of most of the young Sherpa Climbers. The Rolwaling valley is stretched from east to west of Mount Gauri Shankar ridge (7134m). 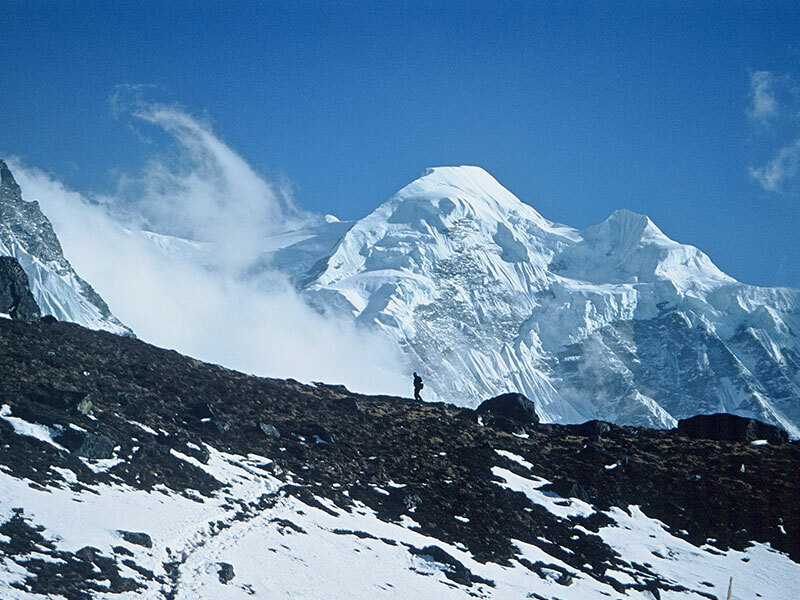 Rolwaling & Pachermo Peak trek can be categorized as extreme adventure trek. You will be trekking to the highest pass of this trip -Tashi Lapcha Pass (5,755m), visiting Tsho Rolpa Lake – one of the biggest glacier lake (4580m). Pachermo Peak climbing is not a technical climbing but certainly is a challenging one because of its remoteness. The views from the Pachermo summit is stunning, having the awesome views of Mt. Everest, Mt. Lhotse, Mt. Nuptse, Mt. Amadablam, Mt. Pumori, Mt. Thamserku, Mt.Kantega and other Himalayas. Summit of Pachermo Peak which lies at an elevation of 6273m.